What Can Tankless Dallas Water Heaters Do For You? How can our Dallas tankless water heater services help you? It used to be that you’d have to deal with a with a huge water tank in your Dallas home. A tank would be used to store water that would be heated. This could handle several gallons at a time. Still, the problems that may come about with a tank are too commonplace. A tank-based water heater will take up loads of space in your Dallas home. Also, you can only get a limited amount of hot water at a given time. This is due to the capacity of the heater. What’s worse is that the tank could rust over time, thus forcing you to find a new model. Fortunately, you don’t have to deal with these annoying tanks anymore. Dallas water heaters are available in tankless forms right now. You can order a tankless heater to help you with heat up the water in your home. This is so you will get more water ready for use in your home without being too hard to manage. A tankless water heater is used for helping you to get the most out of your needs. You can get a water heater service to work for you with a full installation. 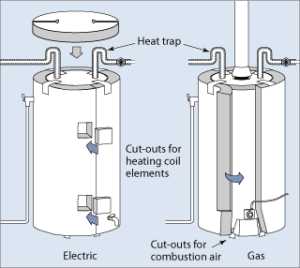 The water heater installation process can entail a heater being added into a plumbing port in your home near where the old tank might have been. The heater will be used to generate warm water on demand. It allows for a continuous flow of water to make it easier for the water to be prepared. The best part of this is that the heater will give you as much hot water as you want. There’s no need to worry about running the water for a while to get it to heat up. Also, a tankless water heater can help you to heat up items without forcing you into using more water than needed. The easy design of the heater makes it so you can quickly get the water heated up without having to wait for anything to come about. When used well enough, it will be easier for you to get hot water in less time. A good tankless heater can be installed with a simple connection to your plumbing system that doesn’t take much time to be set up. This allows you to have a link that will give you the hot water that you need without waiting too long for it. Tankless Water Heaters are STRONGER! The best part of working with a tankless water heater is that you don’t have to worry about the heater wearing out quickly or rusting. Tankless heaters are made with stronger materials to help you with keeping your items protected without being far too difficult to manage or use as needed. Be sure to think about the use of a tankless water heater in your home when you need to get enough hot water ready for any purpose. Contact Dallasplumbing.com to see what you can get out of one of these great heaters so you will have the most out of anything that you want to utilize as needed. This entry was posted in Plumbing Services and tagged dallas tan, less water heater, tankless water heater installation by Whit Kinser. Bookmark the permalink.